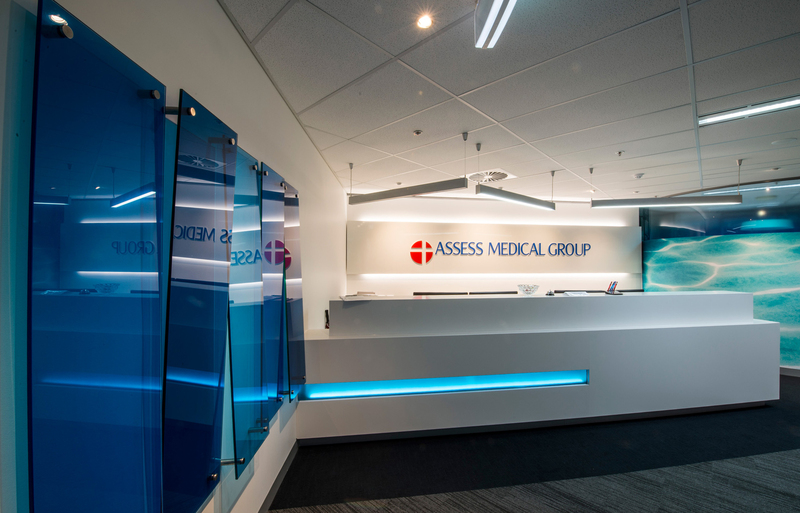 ASSESS Medical Group provides medical assessments + a wide range of services to assist the workers' compensation + injury management industry. 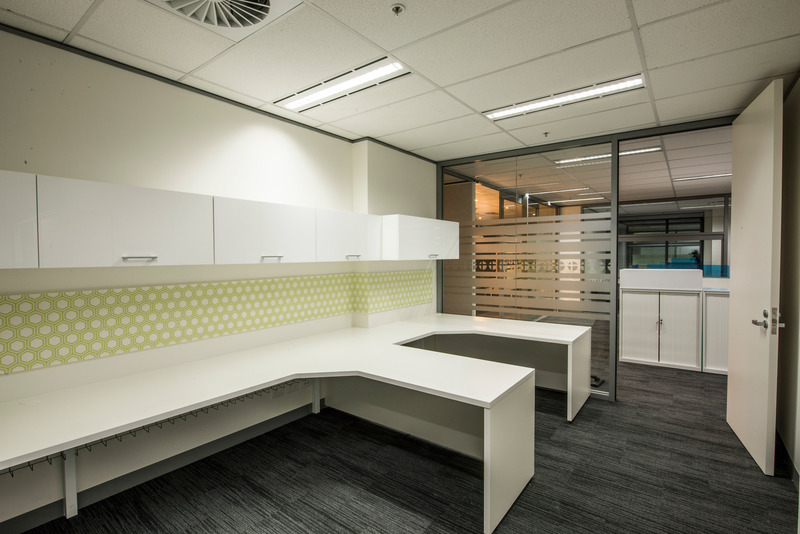 The business had grown beyond its current tenanted space and there were floor layout shortcomings with limited flexibility in the way business could be undertaken. 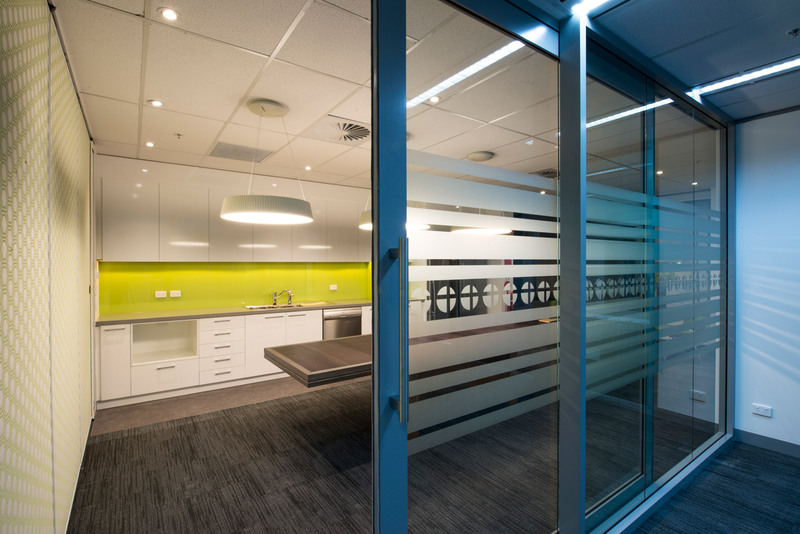 The brief was to replan and remodel the business requirements onto a new larger space within the same building. 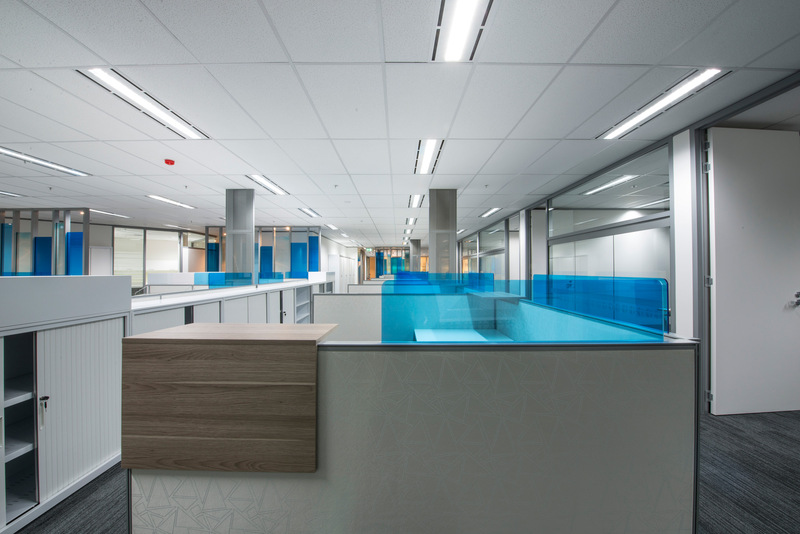 The new layout was designed to achieve a cohesive yet flexible workspace. 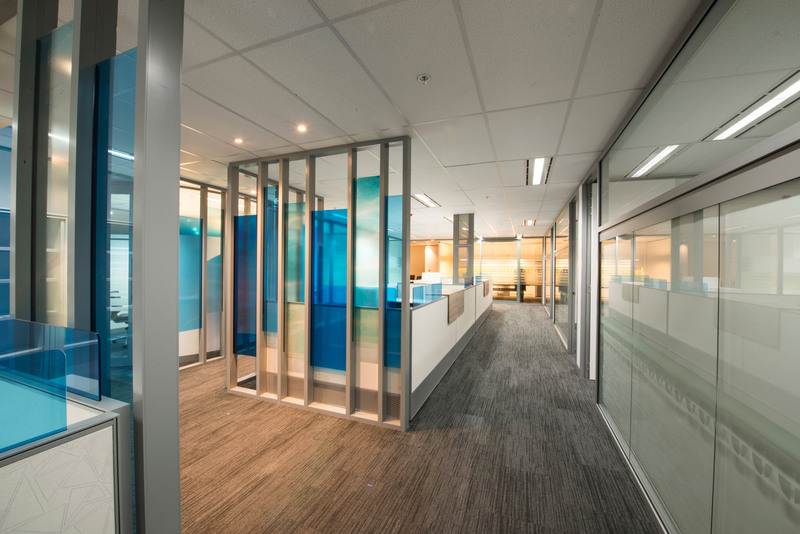 To accomplish this, IN2SPACE Interior Design went about creating visual privacy for the central staff working within an area that the business's clients trafficked but also maintained a visual connection and interaction with the doctors working from the consulting rooms laid out around the perimeter of the space. 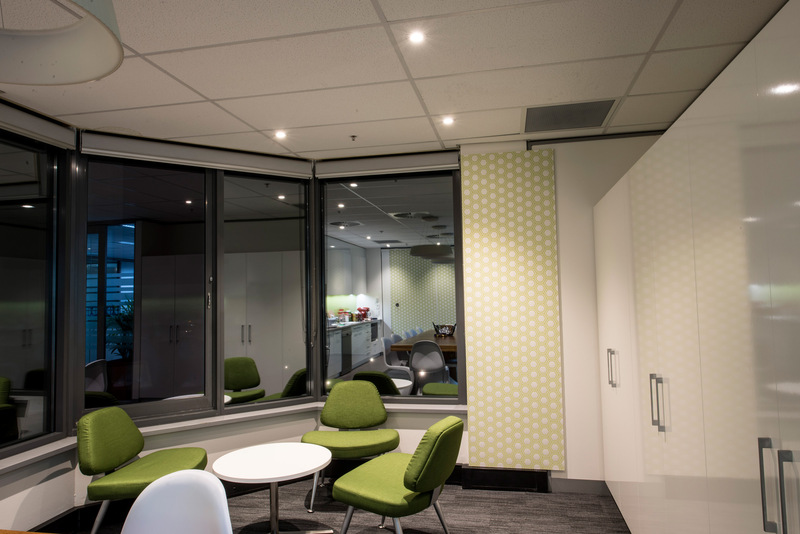 The meeting + socialising spaces were to be flexible and inviting as it was important in playing a large part in harmonising + bringing together staff + consultant doctors using the rooms. 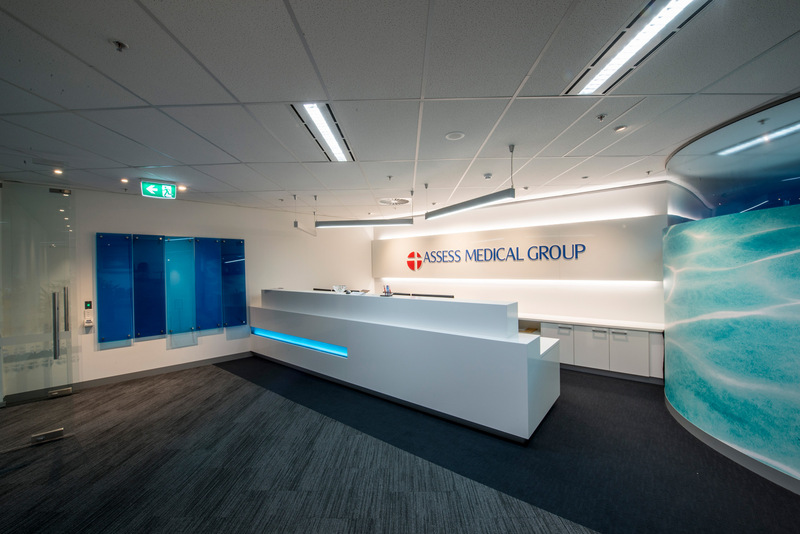 The reception/waiting space was required to be a professional yet inviting and impactful entrance to the business. 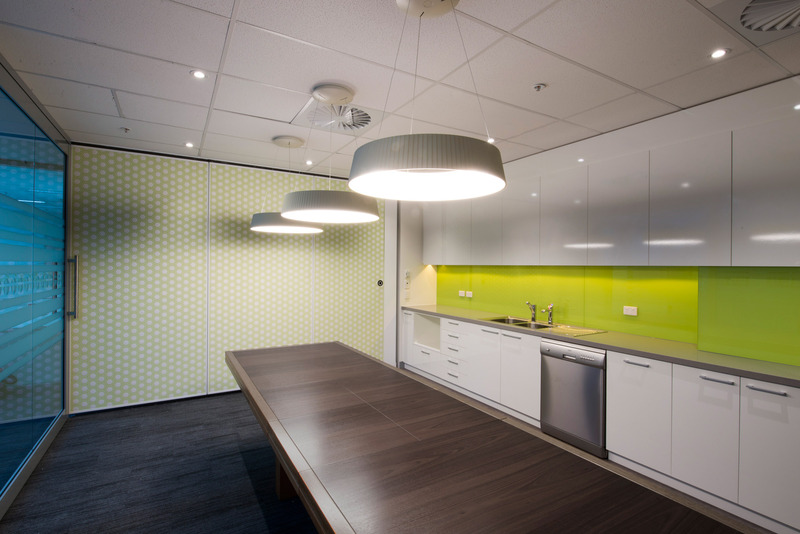 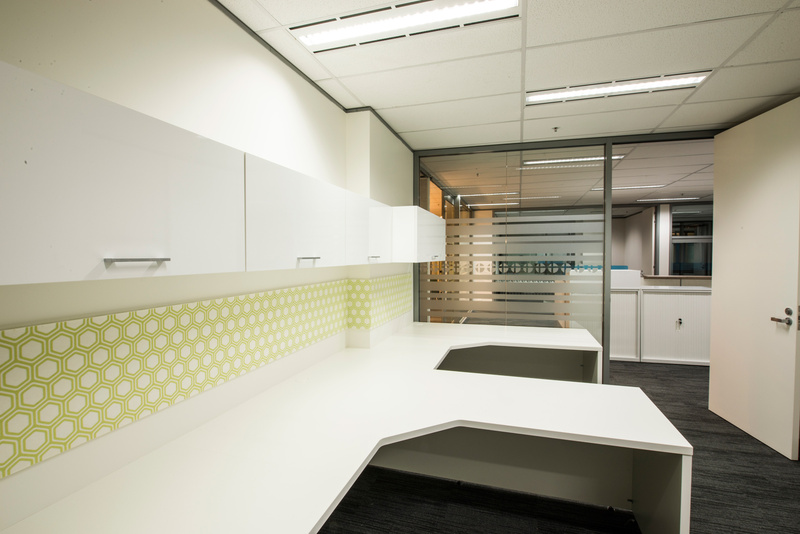 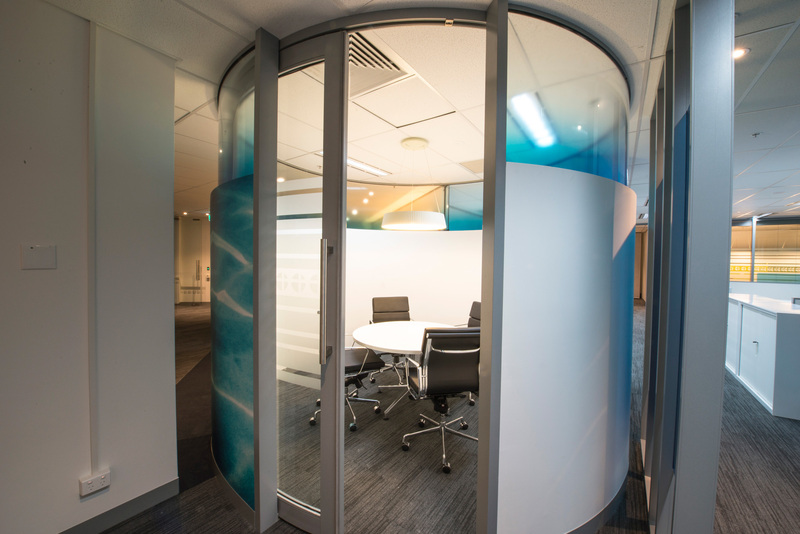 IN2 SPACE provided a complete Design + Documentation service for the office fitout. 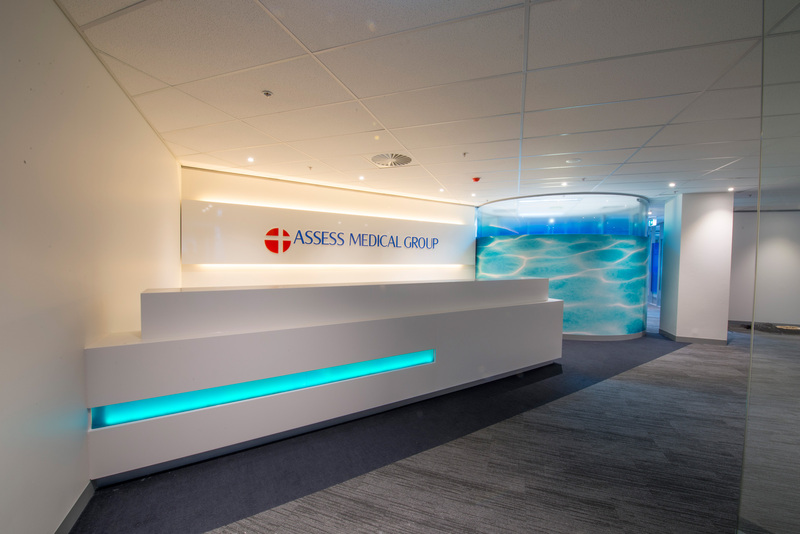 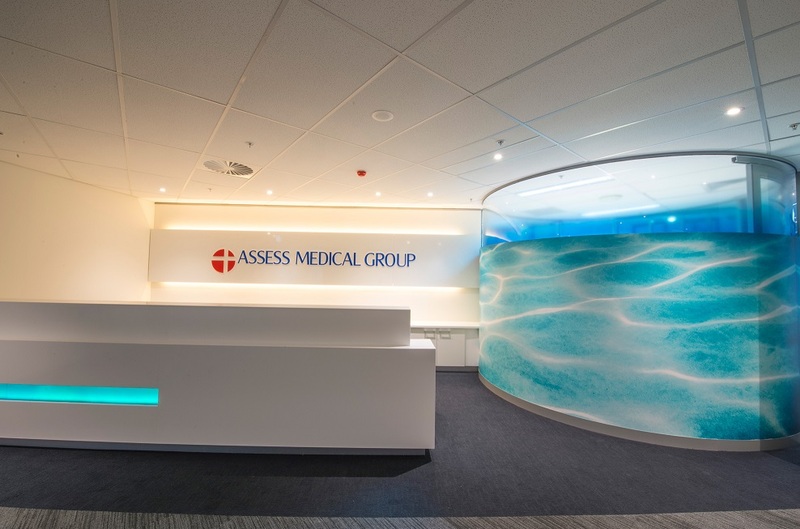 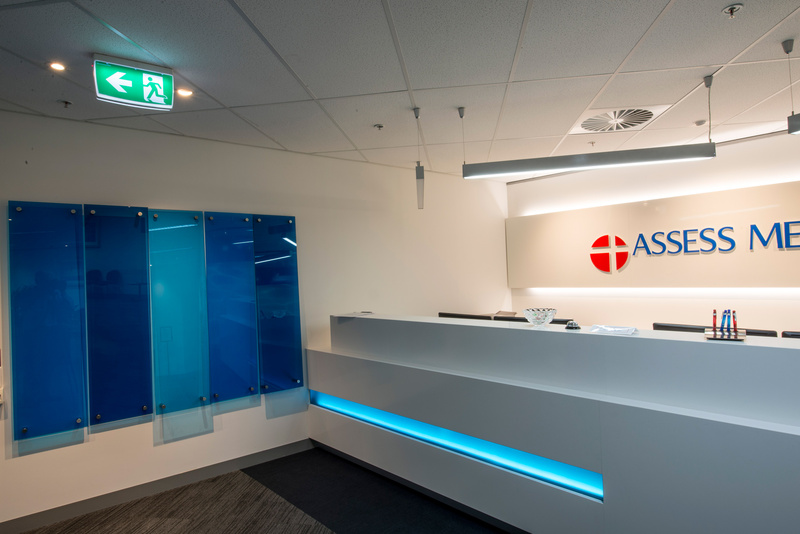 The design solution allowed ASSESS Medical Group to occupy + be accommodated in an extremely flexible layout allowing for its various groups + functions to change + shift as required, whilst maintaining integration + cohesion. 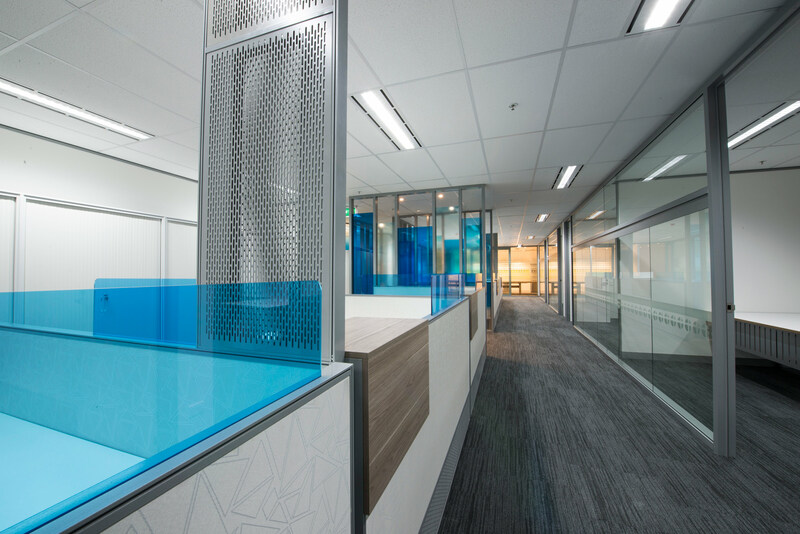 The resultant interior was visually dynamic incorporating graphic film images on walls + the use of transparent coloured surfaces throughout the space to maintain + open yet mask screening throughout the office. 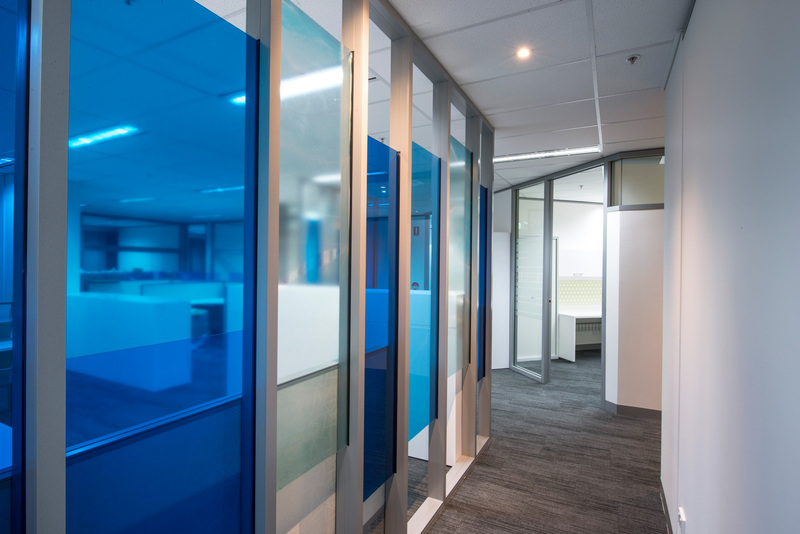 The screens were manufactured using glass paneling with coloured vinyl film which achieved the desired gradation required. 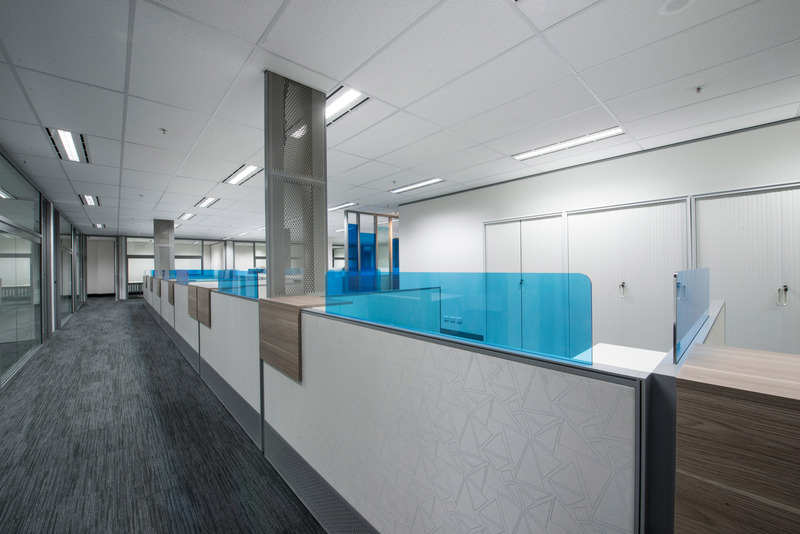 Workstation areas were planned centrally + were in direct connection to the consulting rooms but were designed to have masking + screening panels placed strategically to afford adequate privacy between the hallway + the rooms. 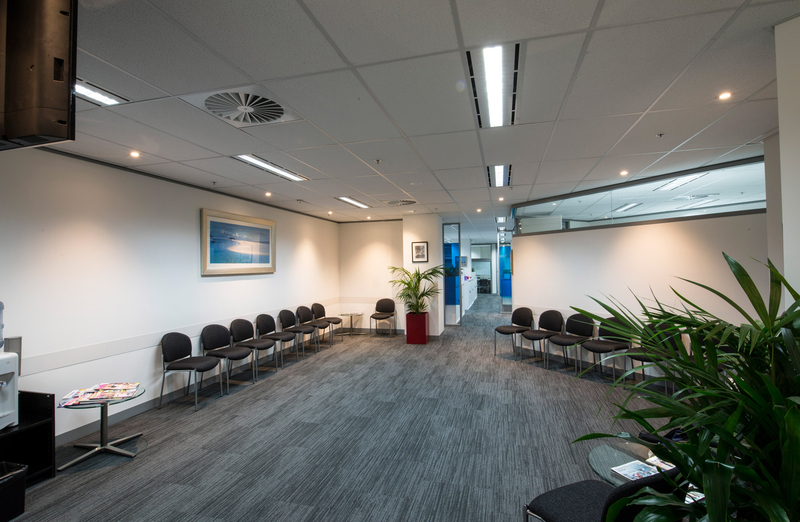 The meeting spaces + staff breakout area were located adjacent to each other allowing for the flexibility in meeting and entertaining clients + staff alike. 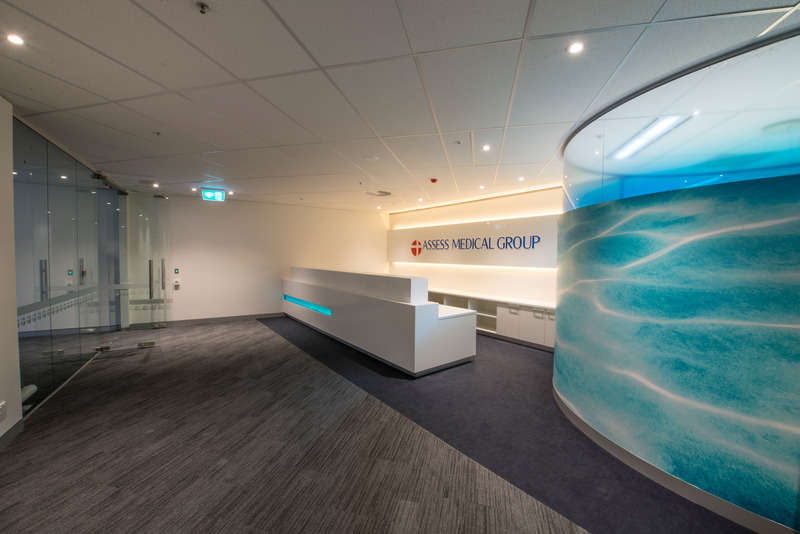 The front reception entrance area successfully invites and leads clients into the office and is professional in appearance, inviting + visually stimulating. 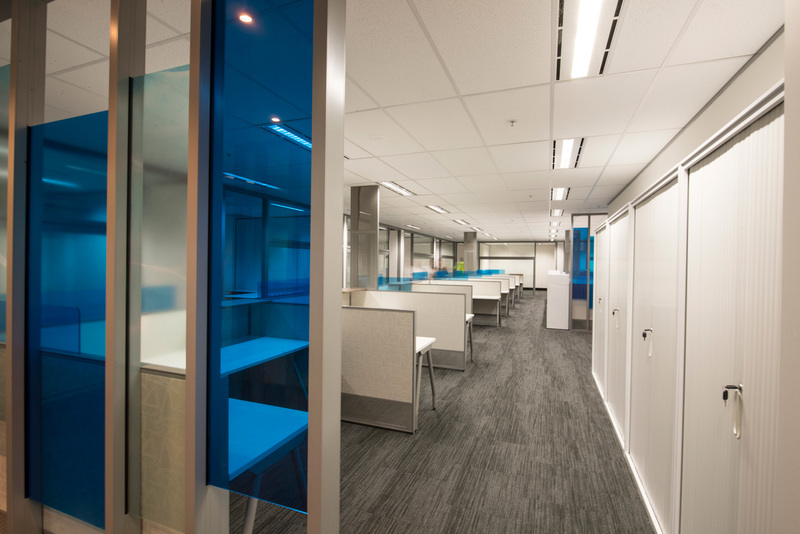 The staff + management are extremely excited + happy with the outcome of the project.